THE BEADY EYE SAYS. ITS TIME TO CURTAIL ON LINE/REMOTE GAMBLING. Every adult is responsible for his or hers choices. Yes you can change channel or turn you mobile phone off but gambling is now a large revenue source for many governments, due to its ease of implementation, popular appeal and high real tax rate it can bear (up to around 40%). It is often promoted by spending on “good causes” designated as “additional” to existing government activity. However gambling taxes are effectively hypothecated (specifically designated rather than fed into the general tax pool) they are often, diverted into education, health, and social and economic development, potentially substituting for taxation raised elsewhere in the economy. But this is not the problem, it is the potential to carry a 24-hour bookmakers shop around in our pocket, all day, every day – simply by downloading one of the many gambling apps. The advent of online gambling, in combination with the development smartphones is making “responsible gambling” a joke. To market it as harmless fun and entertainment, when it’s been totally designed to addict an individual and take all of their money, is obscene. Gambling companies send ‘free bet’ incentives straight to your phone –particularly if they see that you haven’t been using the app for a while. Technology advances are making a joke of gambling laws. Remote gambling circumvents all laws and needs to be regulated like an other dangerous commodity or activity – alcohol, cigarettes, gun licences, etc. For every person with a gambling problem, there are estimated to be a further 5-10 people affected,. Pathological gambling, this form of a gambling addiction persists even in the face of appalling damages to the individual’s personal, professional or family life, and is classified in the field of mental health as a disorder. The undesirable social and financial consequence of excessive and unbridled gambling is, of course, well-known however gambling has become widely viewed as a socially acceptable form of recreation. Ireland has the second highest spend, per person, on gambling – in the world. Unlucky Brits lost a record £12.6 billion on gambling last year – that’s up £1.4bn on the year before. Online gambling accounted for almost a third of latest gambling losses, with punters losing £3.6 billion to internet betting and online casino and bingo sites, almost £300 per person. The UK gambling industry is worth £7.1 billion, in the form of point of consumption tax, not including the National Lottery. As a general rule, the minimum legal age for gambling in the UK is 18 years old. This applies to adult gaming centers, betting shops, bingo halls, casinos, racetracks and online gambling. The exceptions to this are the National Lottery, lotteries and football pools – you’re allowed to take part in these from the age of 16 as well as some non-commercial gambling, or low stakes and prizes gambling. Answer me this existing laws were not drafted with internet online gambling in mind. How many online of remote gambling activities verify the punters age. Online gaming is the industry’s fastest-growing sector, and accounted for 11% of the $385bn of gambling profits posted in 2016. There is a limit to what regulations can do. Most of what we know [about gambling harm] is through research and evidence heavily influenced by industry. Industry funds all the research in the country through Gamble Aware. (Gamble Aware is the charity formerly known as the Responsible Gambling Trust, charged by the department for culture, media and sport with commissioning research into, and treatment of, gambling harm.) Five of Gamble Aware’s 13 trustees have direct links to the gambling industry. In the financial year 2015-16, the UK government raised £7.6m in contributions from the gambling industry. Of that it spent £919,654 on research. Meanwhile £3,788,698 was given to the gambling harm treatment charity Gamcare. Of Gamcare’s 11 trustees, six have direct connections to the gambling industry. The amount of gambling adverts on TV, and social media platforms are spiraling out of control. I am sick to the back teeth of seeing advert after advert after advert for online casinos “spend £10 to get £30 to bet with” at nearly every ad break or bet in play (betting on football matches) that now pollutes nearly ever sport event shown on TV. We need to radical change the current gambling advertisements on the grounds that they contravene principles of consumer protection or the requirement to protect children and young people, and more generally to call into question the role of advertising in promoting gambling, particularly at hours and on media seen by children. This frenzy of advertising is caped of by the Lotto results that are now deems worthy of the BBC main line – Ten O clock News. The prevalence of gambling disorders worldwide is highly variable, ranging from 1 in 500 people (Norway) to as high as 1 in 20 people (Hong Kong). In the USA, around 1% of the population are pathological gamblers (those with the worst problem), while a further 1% to 2% are problem gamblers (those with the next most serious level of addiction). In the UK, around one in 200 people is a pathological gambler, while in Australia the prevalence is 0.5% to 1% depending on the region studied. 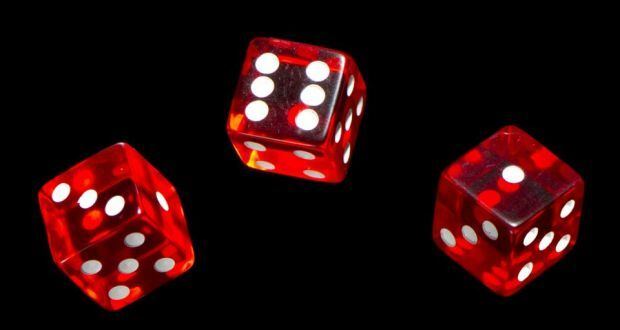 The explosion of gambling opportunities-especially online-will increase the visibility of gambling disorders, and people not currently exposed to gambling opportunities will increasingly have access. Although technological advance his long been associated with improved gambling opportunities, there is little written in the literature explicitly pointing out this link and its implications for problem gamblers. appear to becoming the norm. The most frequent gambling activities across most countries are lotteries, scratch cards, sports betting, and gambling machines. The gambling sector differs from other economic activities, because it is regulated almost exclusively at the national level rather than by the European Union law. This allowed companies to move offshore to tax havens such as Gibraltar, Malta, The Caymans, etc., from where they could allow punters to bet tax-free. Australia’s gambling addiction has made it the world’s biggest loser. The country spent $US761 ($992) per capita last year, with Hong Kong and Finland coming in second and third place, according to UK-based Global Betting and Gaming Consultants. The biggest prize by far is the United States, where bettors’ total losses reached $117bn last year. The untapped potential is enormous: Americans wagered $150bn illegally on sports alone last year, by one estimate. The US, with its casinos mecca Las Vegas, ranked seventh. LAS VEGAS may be synonymous with gambling, but the industry’s biggest expo is actually held in London. In the end all life is a gamble over which we have little if any control but would it not be a step in the right direction if our laws ensured that all gambling generated revenues, was more directly related to local need, in order that issues of community harm and benefit from gambling can be more effectively addressed. There is no social or national advantage to these gambling companies, they serve only to line the pockets of the already rich and can cause misery to those caught in their grasp. When one looks at the world of gambling, the chances of this happening is zero. Not only is technology a tool of the market but technology can also be a regulatory tool.